The Edible Garden Project 2015 – part 6. The real thing now! Early spring and square feet. You grow everything in squares instead of rows. By doing this you eliminate weeds growing and the endless weeding between rows. 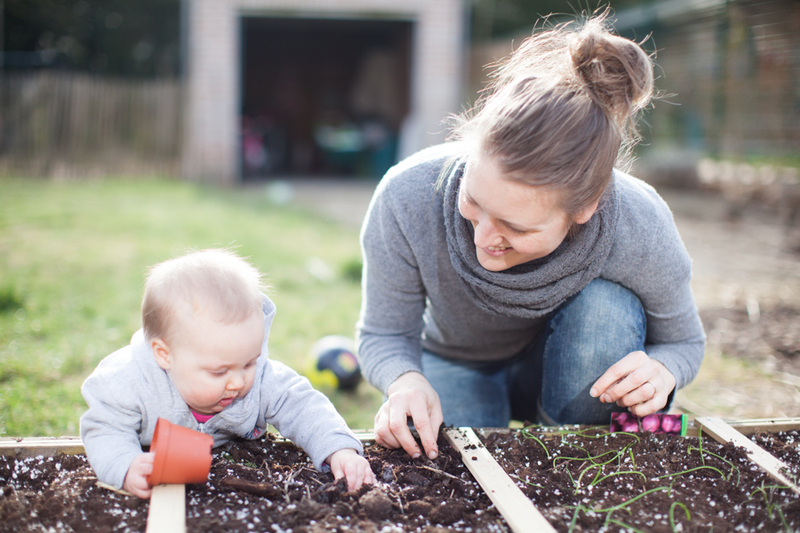 You avoid planting more than you need and there won’t be any more hard work or analyzing of the soil as you use a special mix, perfectly fitted for anything you want to grow, in raised beds. The result is an impressive harvest in little space. Perfect for a small vegetarian family. 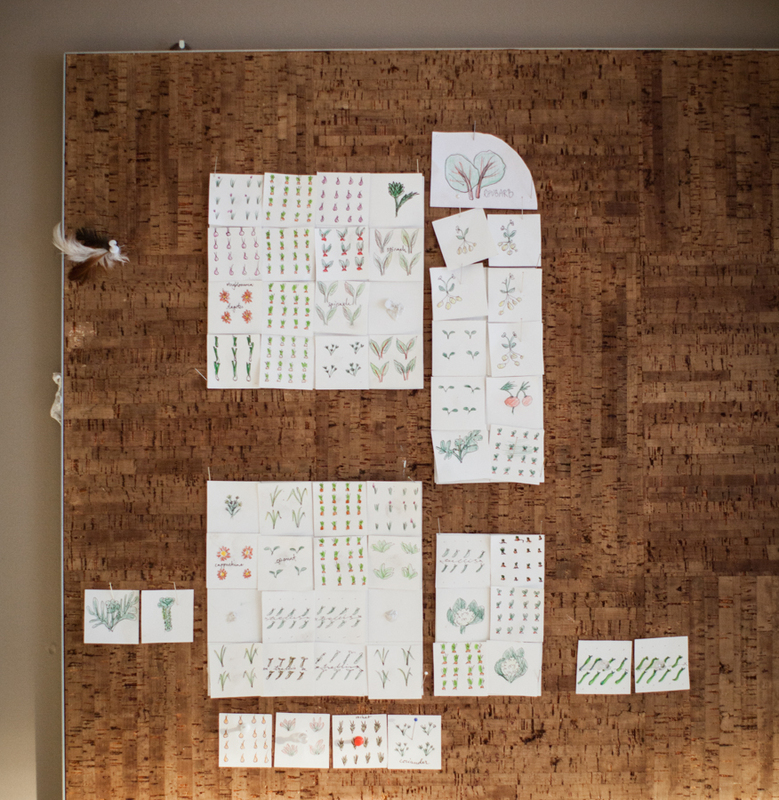 You plant by following a formula, a plant spacing guide, based on the size of your finished plant/ vegetable. For example: carrots are thin and don’t need a lot of space in between, so 1 square can fit 16 carrots. Beetroots are bigger, but doesn’t need a lot of space in between, thus 9 beets in 1 square. Squash, pumpkins, tomatoes, broccoli, cabbage etc are bigger plants, so they need more space. 1 plant per square. See the diagram below. March 2015 was spent building the beds, mixing the soil (Mel’s mix) and planting a few early seedlings that could stand the frost. 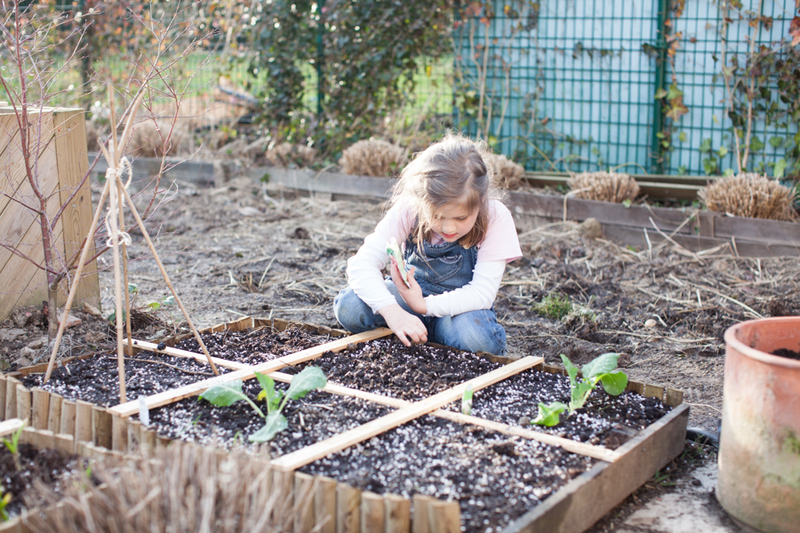 I also gave my older kids 3 square feet each, where they can plant what they want. 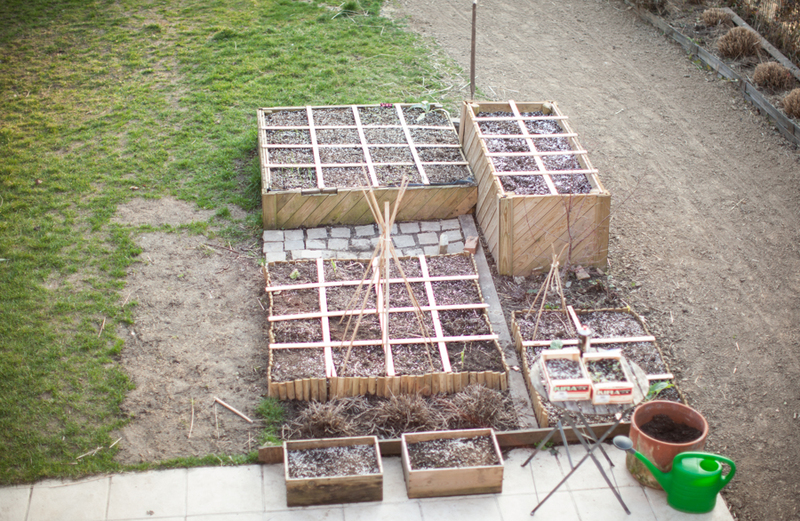 My son planted in each square: 6 pea plants, 1 cauliflower and 16 carrots. My daughter: 16 radishes, 16 carrots and 1 cauliflower. Hihi 🙂 small carrots are delicious though! I miss you all so much, but this makes me so happy, and it feels so important to learn. I hope you get to have your own garden soon Yael, it’s a true satisfaction to eat your own food. lots of love!